How strong is your thrifting game? If you happen to live in Florida, you’re in luck: The Sunshine State has some of the best thrift stores in country. Contrary to popular belief, thrift stores are much more than second-hand junk stores. They’re often a treasure trove chock full of high quality furniture, clothing, and other gently used items that you can scoop up for rock bottom prices. Plus, many thrift stores in Florida are non-profits dedicated to good causes that enrich the lives of others. It’s a win-win for everyone! Forget paying full price when you check out the 10 best thrift stores in Florida. This upscale thrift store features some of the best finds in the state. Like most thrift shops, the profits from this one go to a good cause that helps families and children in need. You’ll find a little bit of everything, from clothing and accessories to appliances and furniture. Speaking of which, if you have furniture to donate, give them a call to schedule a free pickup. In business and helping local families for over 40 years, this thrift store’s community efforts go much further than providing others with good bargains. The profits go straight to helping others in Collier County, which makes shopping here as life changing for you as it is for the community. New items hit the sales floor daily, which means every visit is a chance to discover new treasures. Perhaps one of the most well organized thrift shops in Florida, the Elephant’s Trunk is brimming with new gems just waiting to be found. They specialize in higher end and large ticket items, including furniture, bicycles, appliances, and jewelry. But you can also find plenty of shoes, clothing, housewares, and other necessities for great prices. This chain of thrift stores has made its presence known in Florida with its Longwood location. Every penny of the profits goes towards helping teens enrolled in Teen Challenge, an organization dedicated to helping others overcome and prevent addiction. You’ll feel good about spending your money here. More like a thrift superstore, this massive thrifty shop looks more like a bargain department store with high quality items at lower than retail prices. Customers love shopping here because of the diverse selection, neat organization, wide aisles, and clean atmosphere. You might even forget for a moment you’re shopping second hand! Everybody deserves a second chance, and this store believes that our possessions should, too. They focus on providing high quality, gently used, brand name clothing at the lowest possible prices. Occasionally they’ll have furniture and other items donated, but the main focus here is on wearable goods, including every type of accessory you can imagine. Another chain of quality thrift stores, just looking at the inside you wouldn’t realize that you’ve entered a second-hand shop. Neat rows of merchandise line the walls and floors, with meticulous organization and cleanliness not commonly associated with thrift shops. Visit their website before you go so you can take advantage of even more savings. 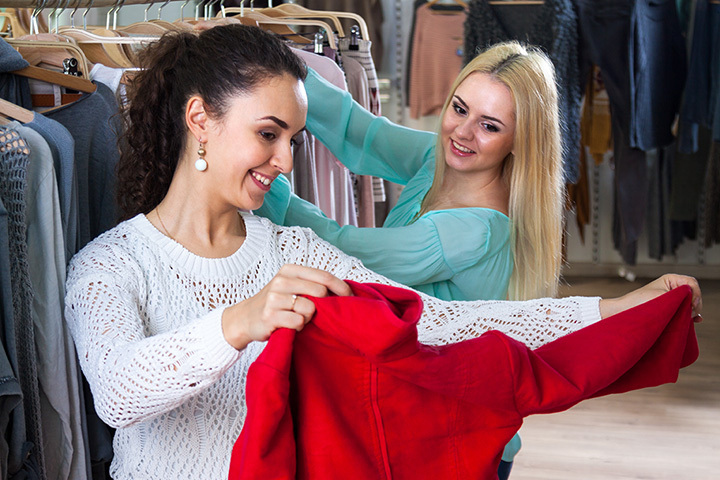 Part of the Red, White, and Blue family of thrift stores, the Jacksonville thrift store has the lowest prices on a variety of items, including clothing, toys, jewelry, and home goods. The sprawling store gives you tons of options to help you find exactly what you need, and maybe some things you never knew you needed. If you’re 55 or over, take advantage of their half-off discount on Wednesdays. Sales from this first-ever store for the Boys and Girls Club will help fund over 30 club locations, making it possible to serve over 14,000 children in the area. If you want to donate, you can call to schedule a free pickup of your large items. They also offer volunteer opportunities to those looking to give back to the community. Like other thrift stores, this shop relies on donated items from the community to further their mission. They’re affiliated with a number of organizations that work toward community enrichment, including Daily Bread, Pregnancy Resource Center, and GAP ministry. Inside you’ll find gently used electronics, clothing, household items and more, all displayed neatly and organized, which is one major reason why shoppers love coming here.